Allied Toyota Lift is an authorized distributor of the Toyota built Aichi Aerial Lifts and Terex built Genie Aerial & Boom Lifts. We have an excellent selection of new and used aerial and boom lifts available for your purchase and rental needs. Allied Toyota Lift can also provide operator safety training on all aerial and boom lifts of any manufacturer. 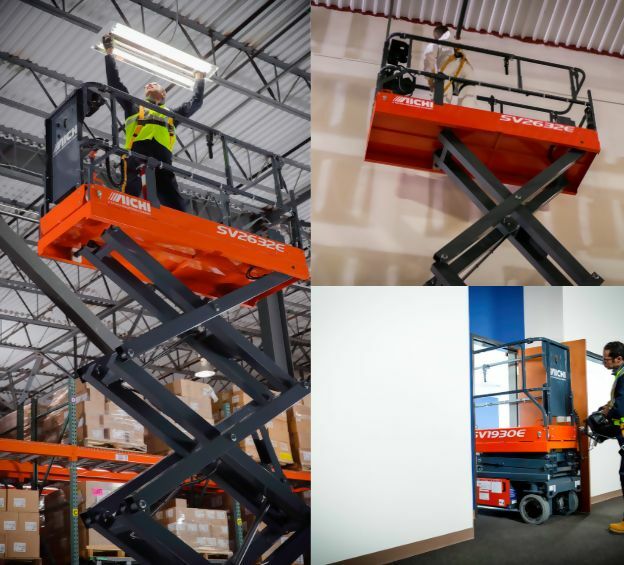 In addition, aerial lifts and boom lifts are required by TOSHA and OSHA to have annual safety inspections and to be tagged with the date of the last safety inspection. Please contact us to schedule your safety training and safety inspections needs today!